Efficient, high-quality products and an outstanding service combined with competent, fair consulting – that is FEZER. As a leading company for vacuum handling our world-wide reputation has been excellent – for the past 75 years. Why not choose a simpler kind of handling, more efficient production processes and higher operational safety? Root for FEZER and just move more – you will not regret it. When designing our products we always focus on the requirements of our customers. Their problems and our long-standing know-how have often resulted in masterpieces that set new standards. 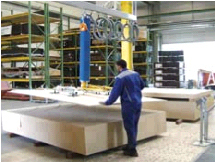 The first priority is always operational safety, ergonomic operation and simplicity of the systems. To live up to these high expectations and to further develop our processes Fezer is certified according to DIN ISO 9001:2000. Whether you require advice, delivery or service support – FEZER will help you in any case, quickly and reliably. Our competent servicemen help you with installations and setting the system into operation; regular maintenance guarantees a high measure of operational safety of the system in use. 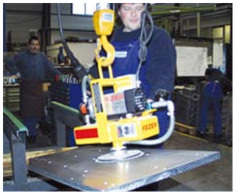 FEZER vacuum handling devices are one of the most commonly used products for dealing with different work pieces. No matter if you have to load drums, place stone slabs,move machine parts or plate like materials,coils and split strips. The vacuum handling technology from FEZER allows you to carry out your handling tasks in a safe, gentle and, above all, very quick way. Transport, swivelling, turning over – the lifter series for the transport of dense, platelike materials up to several tons` weight. 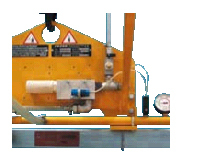 The lifter series for the transport and swivelling of porous materials or wooden planks and gluelam beams, even with more than 20 meter`s length. Wall and column slewing jibs up to 6 meters of jib length and crane systems with rigid guiding systems for accurate handling. Endless rotation, swivelling, and turning over.The ideal solution when all sides on a work piece have to be worked on. 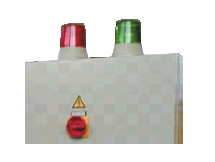 Warning unit EWIII with integrated power failure signal and large lamps that light up in green or red. 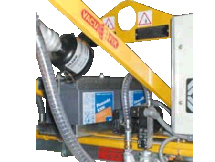 The VacuBoy is the ideal aid for feeding metal forming machines, stockpiling and the removal of all dense, plate-shaped materials.The unique modular sys- tem enables the VacuBoy to adjust to almost any requirement and guarantees an absolutely safe and simple handling. 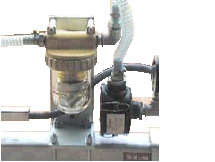 All lifters are equipped with a hand- slide valve and acoustic warning unit with power shortage indicator. Additionally there is a variety of upgrade options. 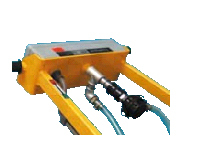 The VacuBoy moves plates of various materials and sub- stances. Robust plates or sensitive panes – theVacuBoy takes it on.Absolutely safe and gentle. For the loading of up right machines or for vertical storage of products the VacuBoy is also available with a swivel mechanism.By mean so felectrical cylinders or gear motors engaged load scan be swivelled effortless lyand stopped in any position. This is controlled by push-buttons which are mounted user- friendly on the manipulating handle.This series contains all the required safety features and can be adjusted to individual needs at any time. The lightweight with the high capacity! 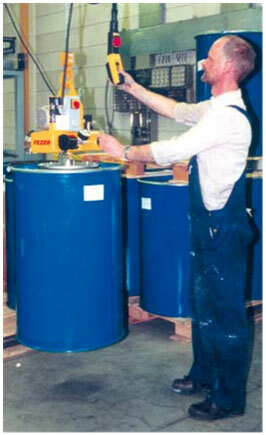 The VacuBoy Mini is especially suitable for handling stable loads like barrels, drums, stone slabs and glass elements. 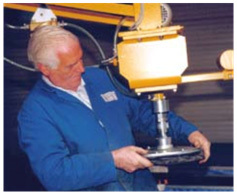 By reallocating the crane hook in one of the two suspension eyes loads cannot only be transported horizontally but also vertically. 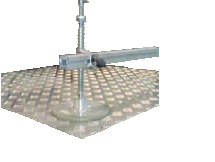 The device can be equipped with either a single suction plate or with a beam with several mounted suction plates. Additionally, the VacuBoy Mini is available with a quick-change coupling. 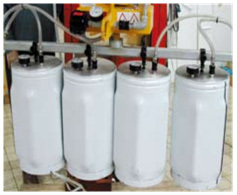 This allows to use different assem- blies for different applications. With the VacuBoy Vario you can lift loads horizontally and vertically; you can even “swivel” them. 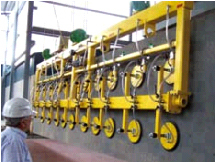 Each suction plate can be switched on and off individu- ally. 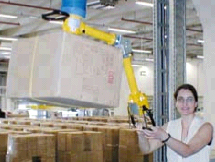 This makes this lifter series very flexible for different tasks.